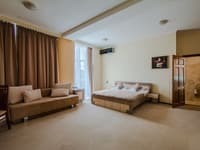 Two-room apartment (western standard) is fully furnished and is in close proximity to the shopping and entertainment center, bars and restaurants. The apartment is located on the 4th floor, The apartment is decorated in a contemporary style. Free Wi-Fi is available. The bedroom has a king size bed. There is a sofa, dining table and chairs in the living room. The kitchen is well equipped with all necessary utensils and appliances. Apartments are perfect for families or groups up to 4 people. There is everything you need for living and recreation. 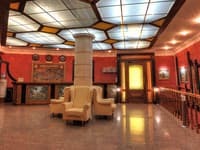 Apartment is located near the metro station “Khreshchatyk”. 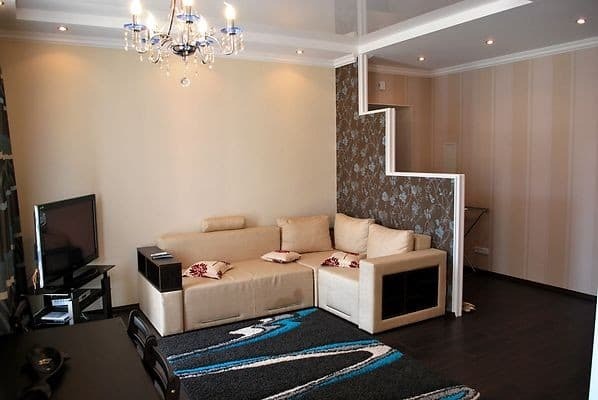 The apartment is located in the city center in close proximity to the metro station “Khreshchatyk”. Distance from the railway station is 3 km to the airport - 35 km. 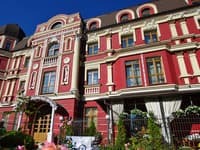 Khreschatyk street (city center). Distance from the railway station is 3 km to the airport - 35 km.